Welcome to the first Magnolia-licious Christmas All Year Long blog hop of 2011. If you arrived from Corinne's blog, you are on the right track, if not, and would like to do the complete tour, I would suggest you click HERE. For this first hop of the year, I have chosen Tilda in winter coat, I don't see here now at Diana's, but she can certainly order it for you. I would love if it inspires you to create Christmas cards all year, I can tell you I am having fun everytime. I loved so much this wonderful collage stamp from Stampin up, that I just knew I had to get it. Isn't it beautiful? I inked it with Cherry Cobbler ink, and embossed it with clear powder. Tilda is colored with Copics, and the fur on her coat, is lots and lots of Stickles! From my blog, please hop to GLENDA'S blog. Hugs, and have a nice day. Bienvenue à notre premier Magnolia-licious Christmas All Year Long blog hop de l'année 2011. 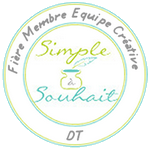 Si vous venez du blog de Corinne vous êtes sur la bonne route; sinon, vous pouvez cliquez ICI pour commencer au tout début. J'ai choisi de mettre Tilda in winter coat en scène pour cette première carte. Je ne la trouve pas sur le site de Magnolia licious, mais je suis certaine que Diana peut la commander. Il est vraiment agréable de créer des cartes de Noël toute l'année durant! J'espère que vous aimerez! D'ici, veuillez poursuivre votre route chez GLENDA. Ribbon, stones, tiny glitters are all from my stash. Dan!!! What can I say??? Absolutamente perfeito. Amei a Tilda, os papeis e tudo mais que você usou neste cartão. Cette carte a du caractère Wow!! Que de détails....j'adore l'effet de l'embossage, la façon dont on peut voir le motif du poinçon sur le côté et ces bijoux si délicats! WOW! Danielle, this is gorgeous! I love the vintage feel to it, it's truly beautiful! Bon Jour! What great paper Danielle and the inside is as lovely as the out side! In fact, Je aodre the side with the ribbon and charm. How neat is that! very pretty love that little image and the simpleness to it ! Beautiful papers just stunning ! Dani! This is so pretty! I love the rhinestones you added on your pleated ribbon and around the circle of 25th and around your sentiments. Your coloring is awesome. The little ref flowers and leaf on your ribbon are precious! The inside is so beautifully done. This is one gorgeous card! Love your coloring on Tilda! It's just beautiful Danielle! Love the jewel poinsettia and leaves. Merveilleuse carte encore une fois...tu as des doigts de fée! Tes Tilda sont toujours si attrayantes! 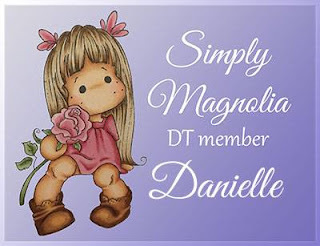 Beautifull card Danielle !! I used the same image. I love that sweet Tilda :)). I just love your gorgeous Christmas Tilda! Oh how gorgeous! Love those swirls in the corners and the inside is just as pretty as the out! Beautiful job! 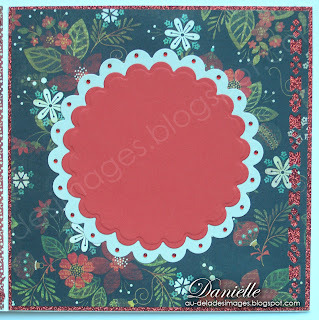 Danielle, your card is stunning...love the colors. Beautifully done. Absolutely gorgeous....inside and out!!!! Love all the bling and the magnificently colored Tilda! Oh Danielle! This is yet another gorgeous creation! Your colouring of Tilda is just FABULOUS and I love the red/black combo .. soooo STUNNING! Very pretty, thanks for sharing! Hugs! Wow! this is beautiful!!!! Love the stickles on her coat and all the embossing just sings! Love this image, and you've colored her to perfection. The inside looks so pretty and finished, too. Wonderful card. Your card is so beautiful. Love all the rhinestones and the way you have pleated your ribbon. Beautiful Danielle! Your coloring is gorgeous! Thanks for joining the blog hop this month! 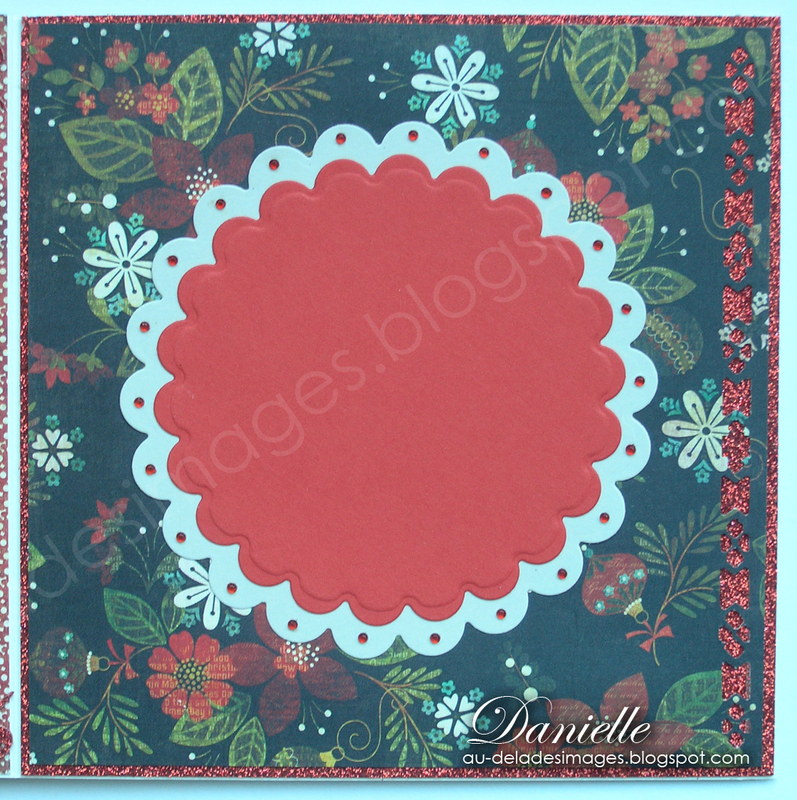 Those embossing is gorgeous on your card Danielle. The glossy look and the charm look wonderful and your Tilda is so elegant and cozy. Pretty and classic!! so pretty Danielle! 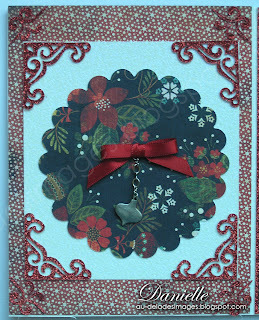 Love the elements you used with Tilda! Cool background stamp and love that BG paper! Such a stunning card, Danielle! Wonderful work! Danielle, what a gorgeous Christmas card. Tilda is such a cutie here--fabulous colouring. Oh, your heat embossing work is excellent-beautiful designs. It's been a while since I've done any of it. Used to be that most of my cards include some kind of heat embossing--this was pre Tilda..LOL. Love your gorgeous DP with the black background. Terrific job in putting this card together. Love it. Your card is just gorgeous! It is beautiful on the inside as well as the outside. I love your coloration of Tilda. There are so many interesting details included (like the charm) that just make it so sweet to look at.